The most comprehensive insurance dictionary ever written. No English professor would be without a copy of the Oxford Dictionary of the English language. No attorney would be without a copy of Black's Law Dictionary. 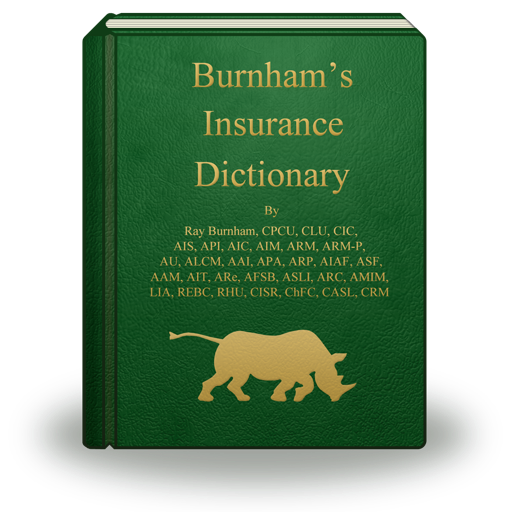 No insurance professional should be without a copy of Burnham's Insurance Dictionary. Burnham's Insurance Dictionary is a 930-page, stitched and bound hard cover book. It contains over 27,000 entries and over 34,000 insurance industry definitions. Use it every day. It will last you a lifetime.